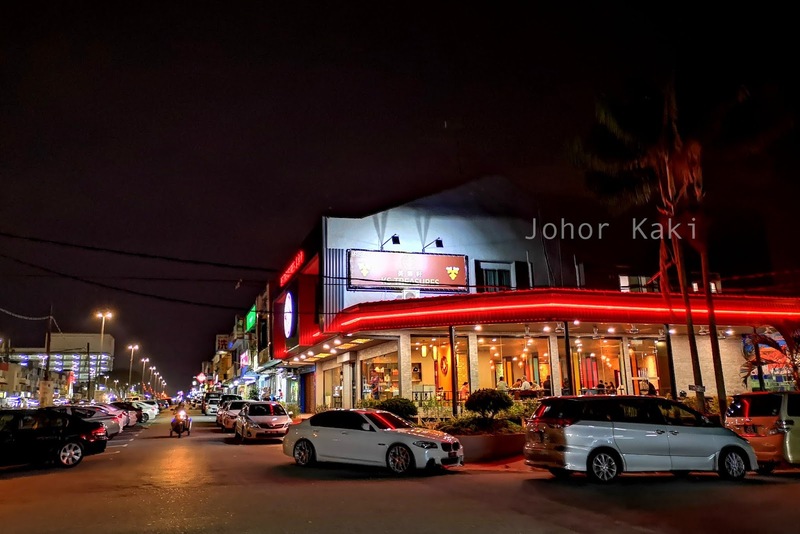 Last night, buddy John invited me to join him at KS Treasures Restaurant in Taman Sentosa in Johor Bahru. 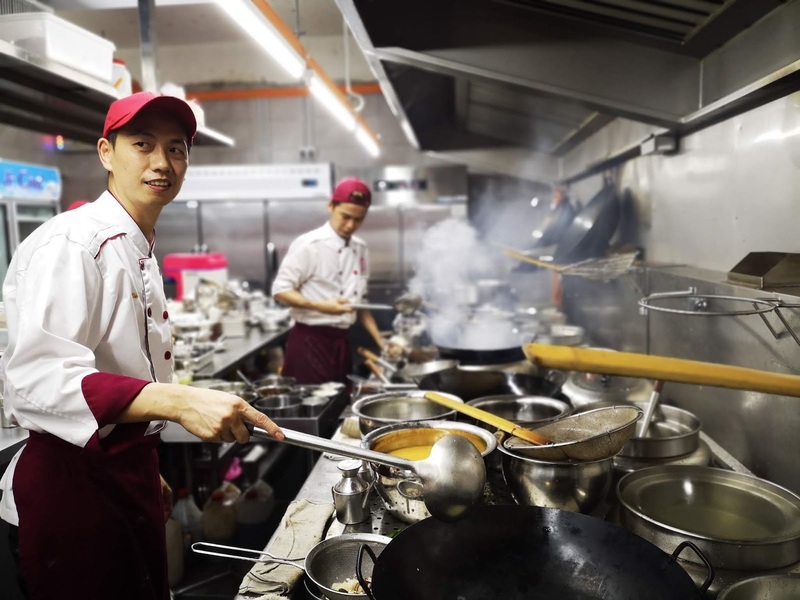 His family are regulars here since falling in love with Chef Benson's food last year. 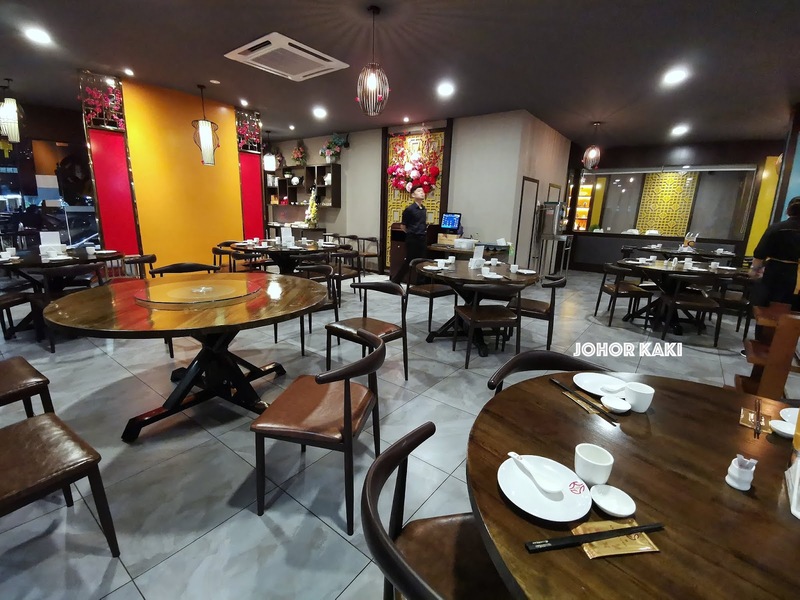 Truth be told, there are very few Chinese restaurants that offer food of such finesse in JB. 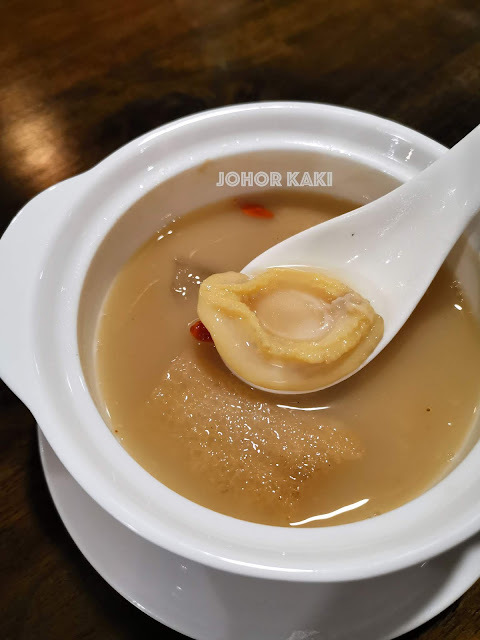 We started with soup 鲨鱼骨鲍鱼炖三宝. Boomz - there is soup, and there is soup but not all soups are equal. This soup was full bodied and felt heavy and smooth in the mouth. It had layers of robust savouriness with subtle underlying sweetness. Very delicious and memorable, raising expectations of the dishes that follow. The soup was made by braising sun dried shark bones for 8 hours. Inside the gelatinous stock, there were abalone, pork tendon, fish maw, etc. 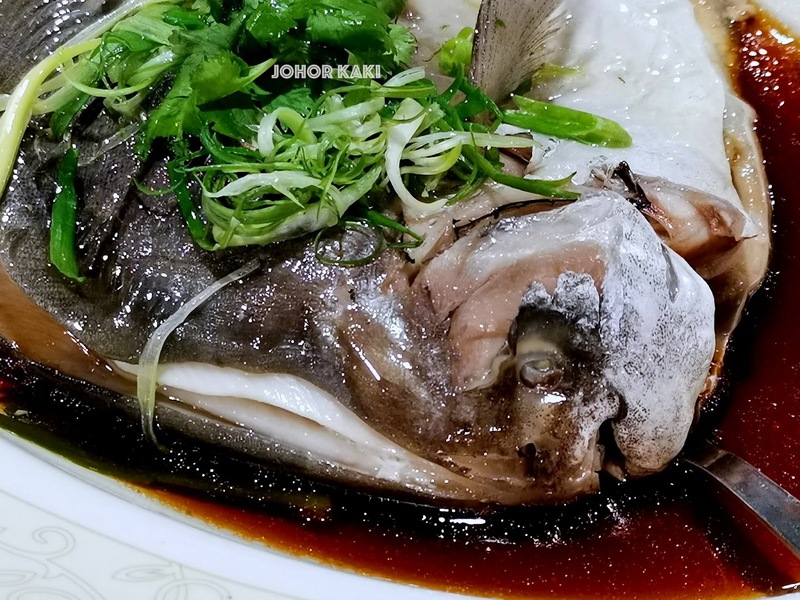 清蒸笨珍斗底鲳 Hong Kong Steamed White Pomfret Fish. Nothing much need to be said about ocean fresh white pomfret. The fresh fish from Pontian was tender, moist inside and sweet, it's almost redundant to say. The HK style mild savoury sauce provided balance to accentuate the natural sweetness of the white pomfret. But, once in the mouth, I was bowled over by the flavours. In the jumble of fried assorted mushrooms and baby kailan were bits of black truffle which signature savouriness and aroma elevated the dish's flavours to another level altogether. This was a lovely, memorable crab dish that I am tasting for the first time. 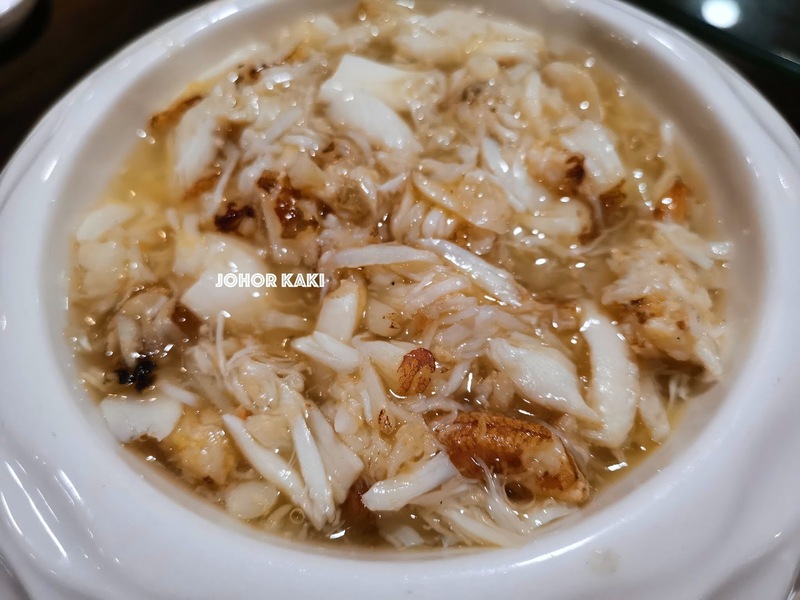 It's glutinous rice and pulled fresh crab meat (from live crabs) cooked in seafood stock. 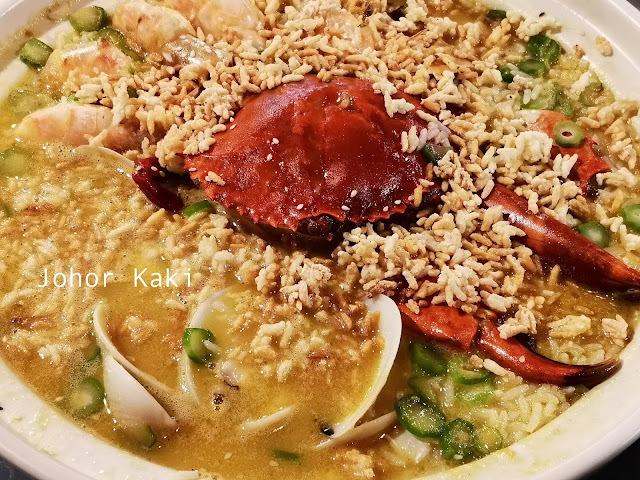 The soupy soft glutinous rice and fresh crab meat were eaten together with fried glutinous rice with premium waxed sausage. 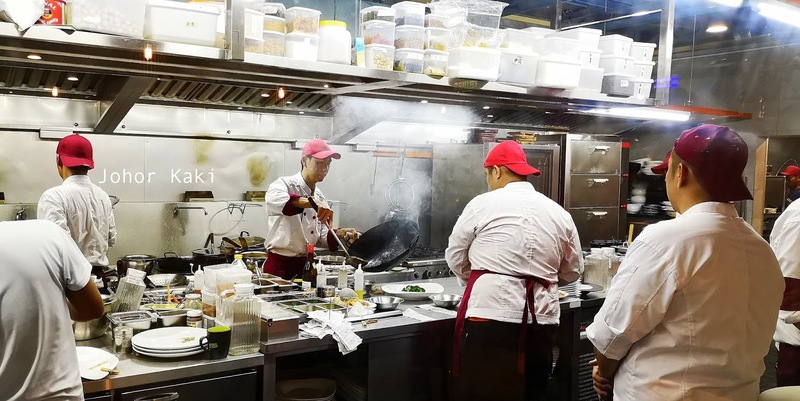 The staff will serve the soft boiled rice and crispy deep fried rice together in a bowl. 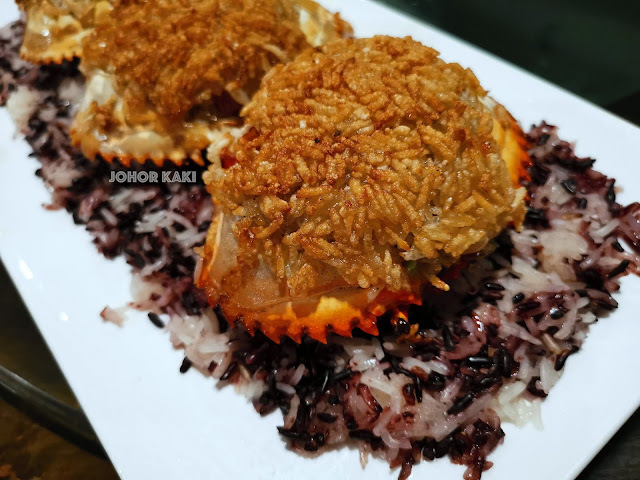 It's a tasty blend of layered savouriness with fresh crab sweetness, soft springy glutinous rice with crackly crispy chewy deep fried glutinous rice. Cherry tomato palate cleanser is a tasty starter / dessert on its own. 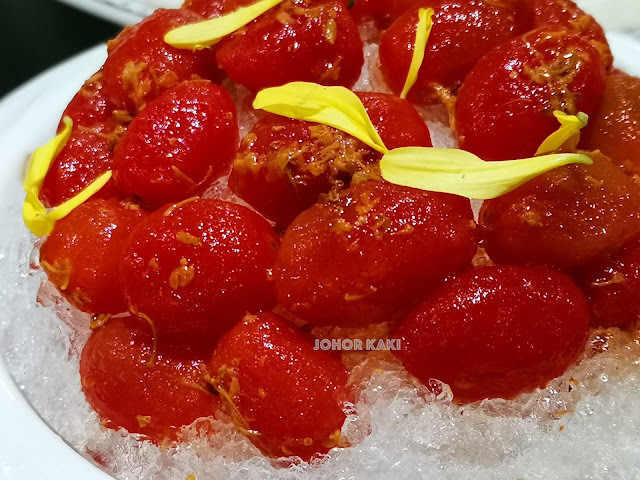 The chilled juicy tomatoes tasted savoury, sweet, and zesty. 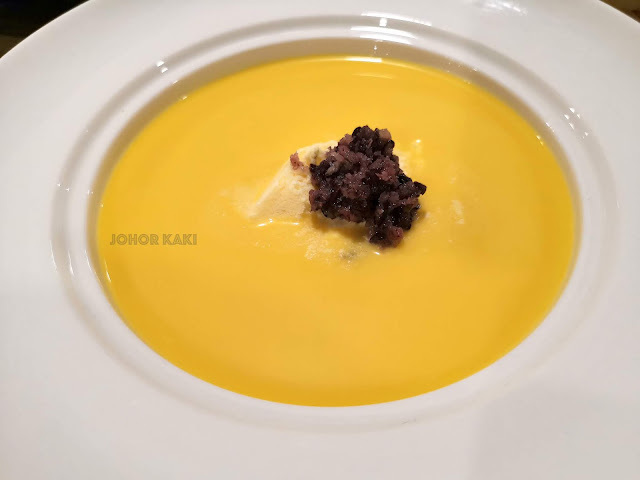 Pumpkin puree with vanilla ice cream and black glutinous rice. House made almond sauce with black sesame seed gelato. 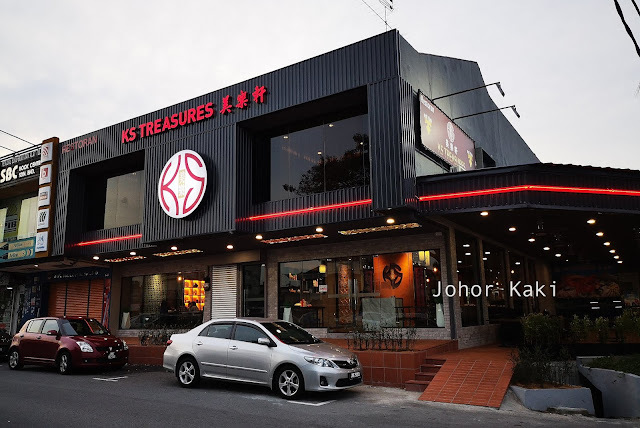 Recommended for you 👍 KS Treasures is still the place in JB for fine Chinese cuisine. Note: I do not know the cost of tonight's dinner as it was buddy's treat. The dishes were off menu and requires at least 2 days advance pre-booking ☎ +607 665 1133. Expect the prices to reflect the premium quality of ingredients and artisanal craftsmanship demanded. Last night, we had dinner at the newly opened KS Treasures restaurant 美乐轩 in Taman Sentosa in JB. 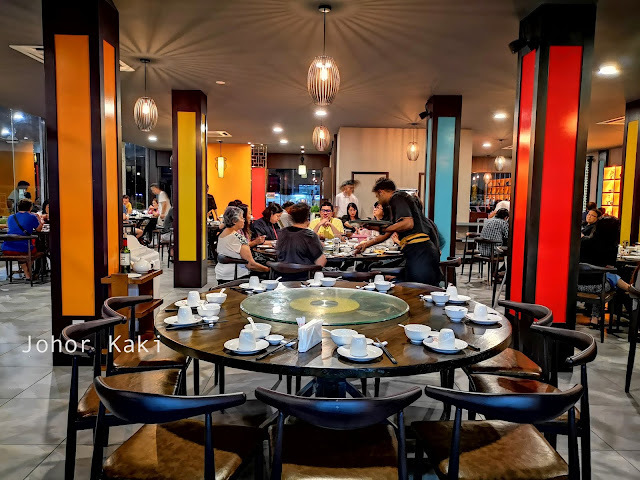 We enjoyed their well executed, modern take on traditional Chinese cuisine at the new restaurant. KS Treasures opened less than a month ago (on 19 May 2018) at the premises previously occupied by Kong Inn restaurant (which has moved to Mount Austin). 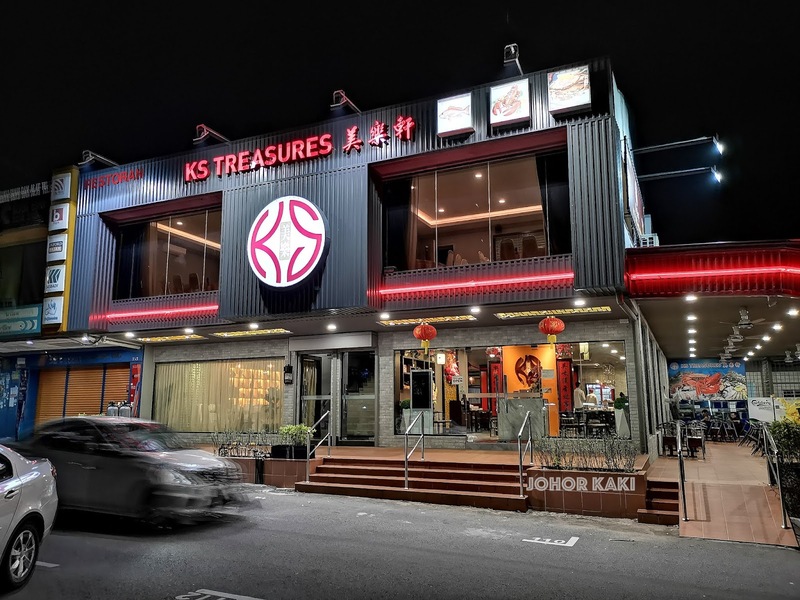 KS Treasures is set up in the style typical of contemporary Chinese restaurants. It is functional and comfortable with just enough obligatory decorative touches for the chic ambiance. Not yet a month since opening for business, without any media shout out, there was already a good size crowd on a Wednesday evening. 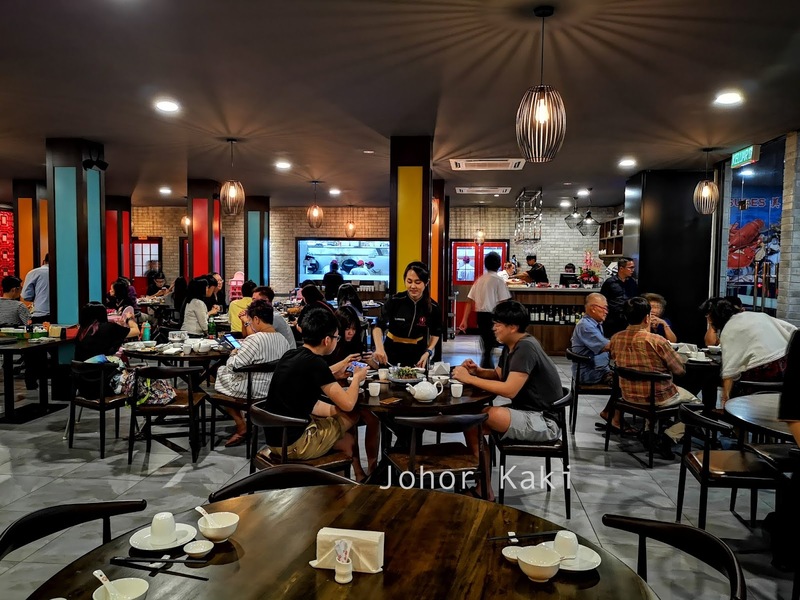 The curious palate of JB (and some Singapore) folks and traditional word of mouth about good food travel fast in JB. Co-owner Chef Benson is an Anak Johor from Segamat. 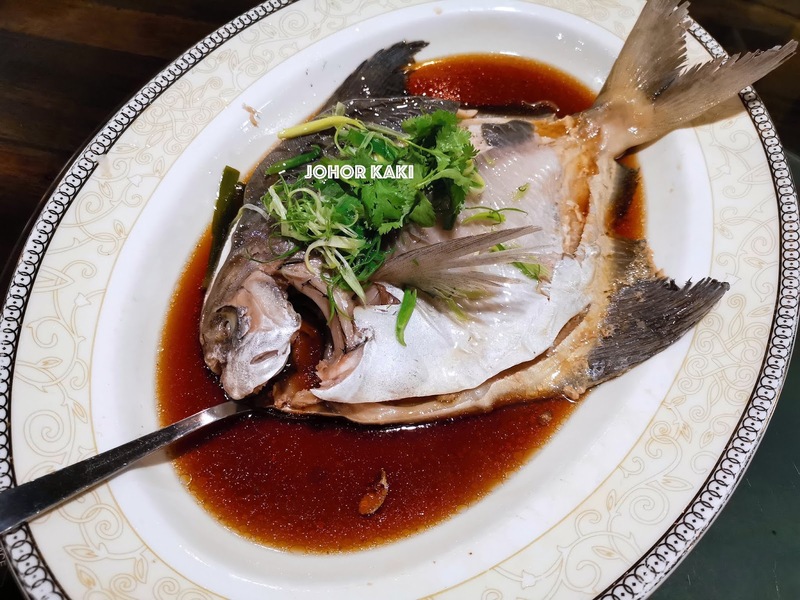 He started his culinary career in Singapore where he worked for the Tung Lok group and others such as Marina Bay Sands Hotel. His career also took him to the Hakkasan in Miami (USA) and the Ritz Carlton in Shanghai. When buddy Frankie shared with me Chef Benson's credentials, I was expecting to meet a middle aged gentleman. So, I was quite surprised to meet a youthful looking chef - Benson started his career at age 20 and already has 18 years under his belt. KS Treasures is the fulfilment of Chef Benson's dream to have his own restaurant. 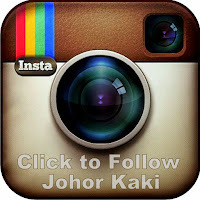 When KS Treasures first opened, Chef Benson's mentor from Ritz Carlton Shanghai came all the way to JB to support him. KS Treasures' menu consists of Chef Benson's repertoire of modern Chinese dishes inspired by his experience at the best Chinese kitchens around the world. 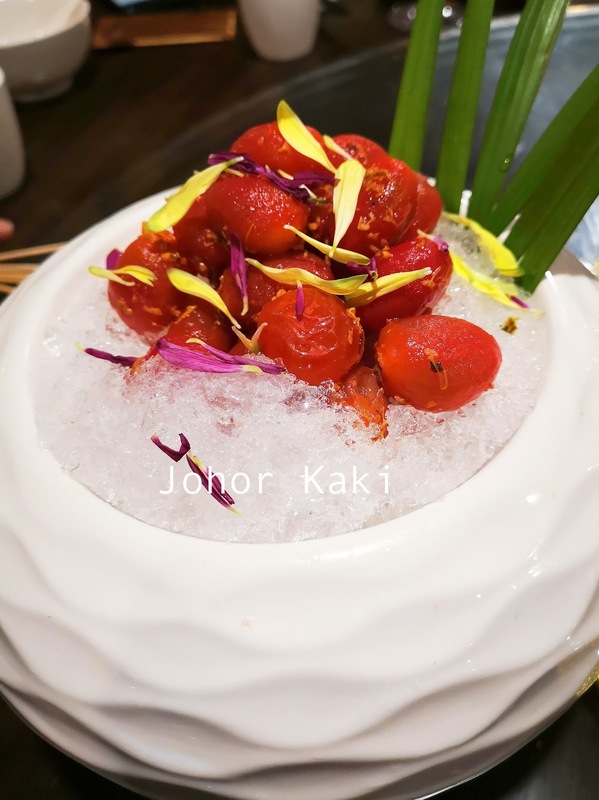 Our first appetiser, Chilled Cherry Tomato with Sour Plum set on crushed ice (price RM10++). The gently sweet salty sourish flavours in the juicy cherry tomatoes' soft pulp got our saliva flowing, readying us for the upcoming dishes. We like this Deep Fried Duck Salad (price RM22++). This is an Hakkasan inspired dish. 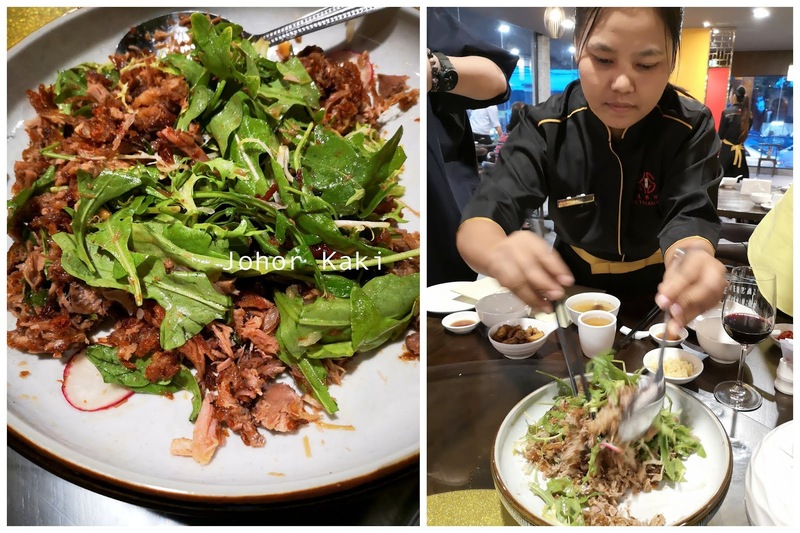 Shreds of crispy, tender juicy fried duck were tossed with leafy greens (rocket) and beetroot slices etc with the Hakkasan signature sweet, savoury, sourish dressing sauce. 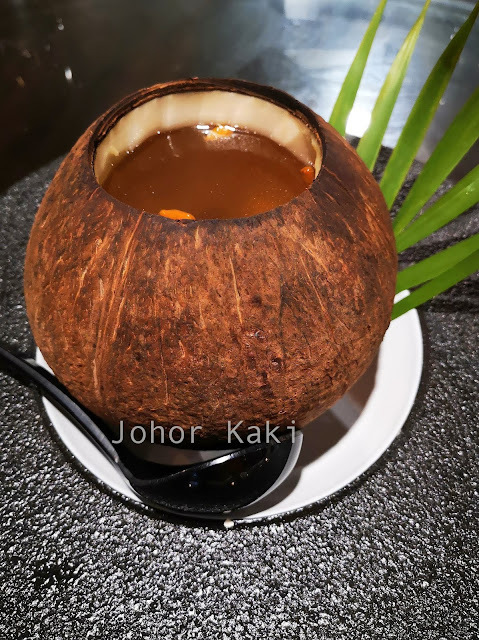 Double Boiled Chicken Soup with Peach Plum and White Fungus served in a Coconut (price RM22++ serves 2). The mildly savoury double boiled chicken soup was rather heavily infused with coconut taste. If you like the taste of coconut water, this soup is for you. 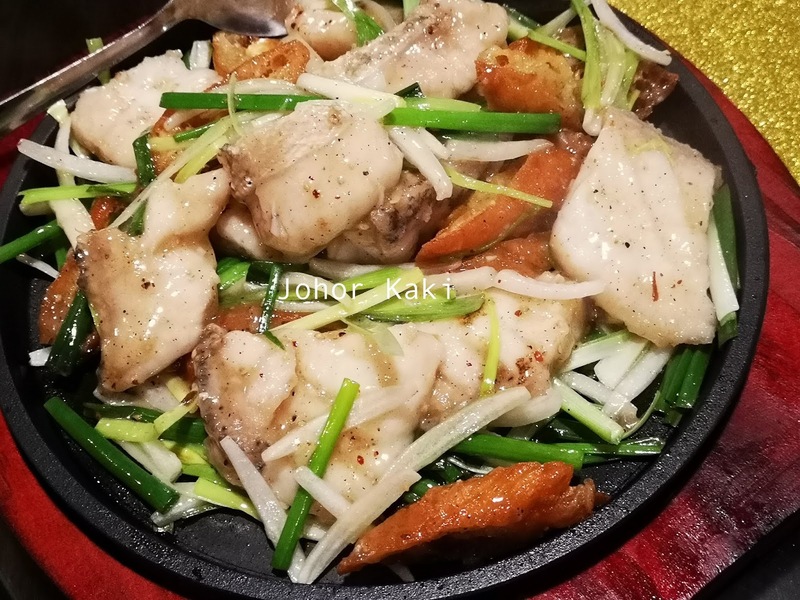 Sauteed Grouper, White Pepper, and Onion Trilogy sizzling on a cast iron plate (price RM48++ small serving). 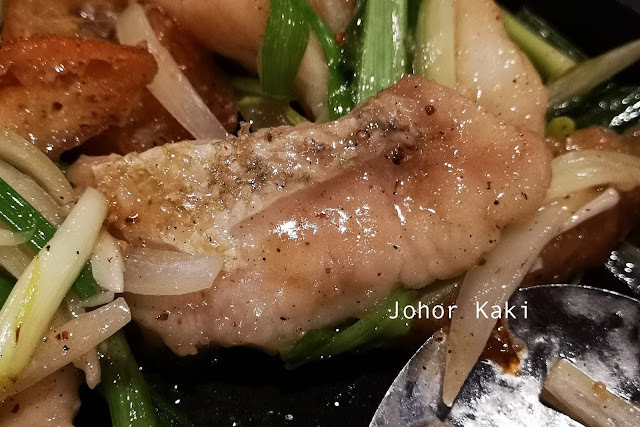 I like the savoury sweet flavours with subtle heat from white pepper, especially when it was infused in the pieces of you char kway (fried cruller). The chunky slices of grouper would be nicer for me if they were a bit more tender and if I could taste the natural sweetness more. 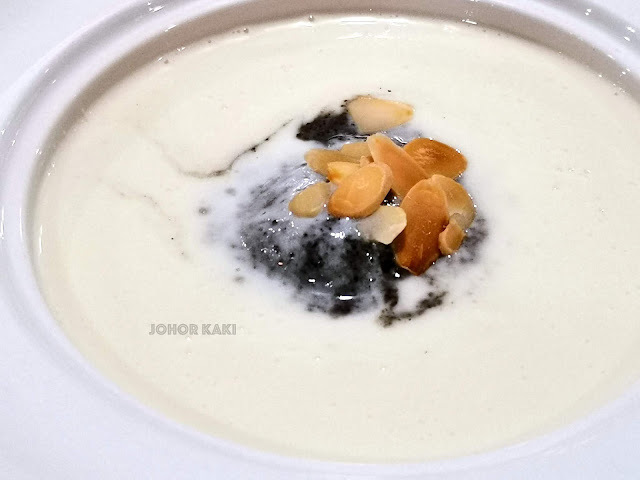 Signature Homemade Spinach Beancurd with Shimeji Mushroom and Oyster Sauce (price RM15++ small serving). 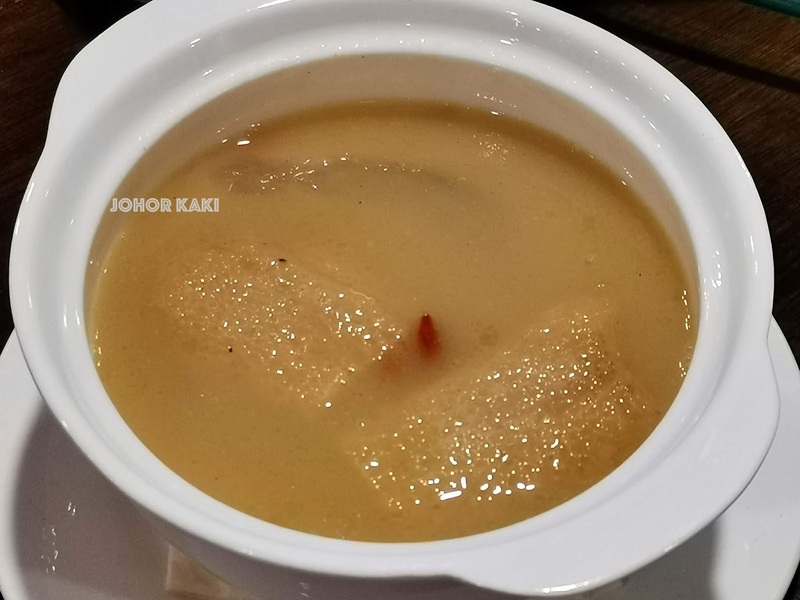 I enjoyed this tender tofu - its soft rough skin wrapped the smooth soft tofu inside. I like the gentle taste of soy bean inside. 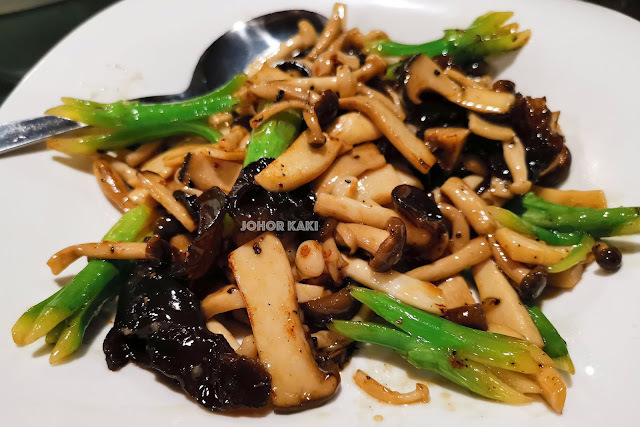 The soft spongy crunch of the mushrooms was nice too. 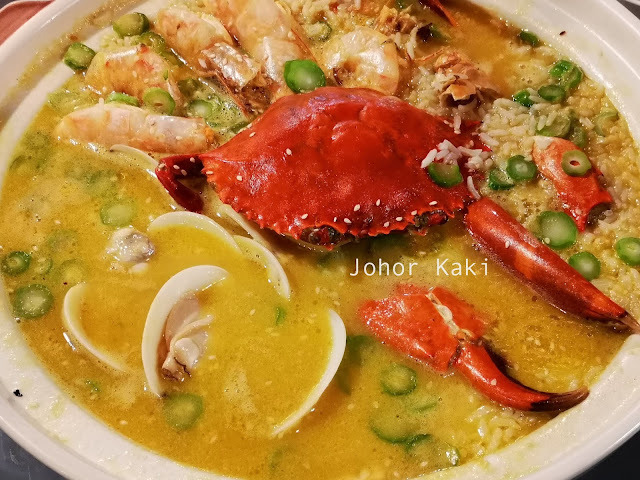 Poached Seafood Rice with Supreme Bisque (price RM118++ small serving | RM228++ large). This was a memorable dish. The rich, heavy bodied stock was infused with interlaced savoury sweet flavours from clams, large prawns, crab, crunchy vegetables, rice and rice crisps. The rice crisps soaked up the flavourful stock without losing all its crunch, to provide interesting soft crispness to the bite. The large prawns were fresh and full of meaty sweetness. 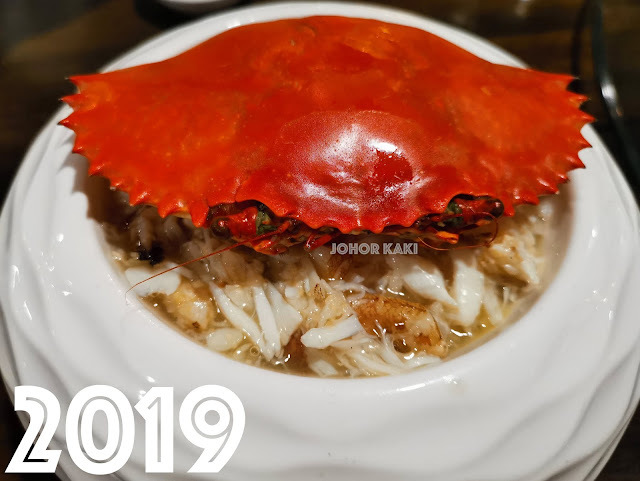 I didn't taste the crab as I wanted to keep my hands free for photo taking but my makan kakis were full of praise for its freshness and sweetness (as it was made with live crab). 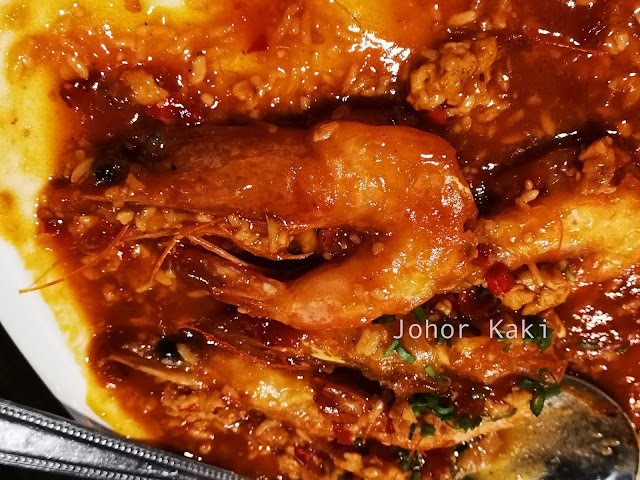 Sauteed Sea Prawn with Sweet Fermented Rice (price RM42++ small serving). My first thought when I saw this dish - alamak, what a waste of fresh sea prawns to smother it with a heavy, quite robust savoury tangy sweet sauce. But, I was delighted that the natural sweet taste of meaty fresh prawn was intact (shielded from the thick sauce by their shells). 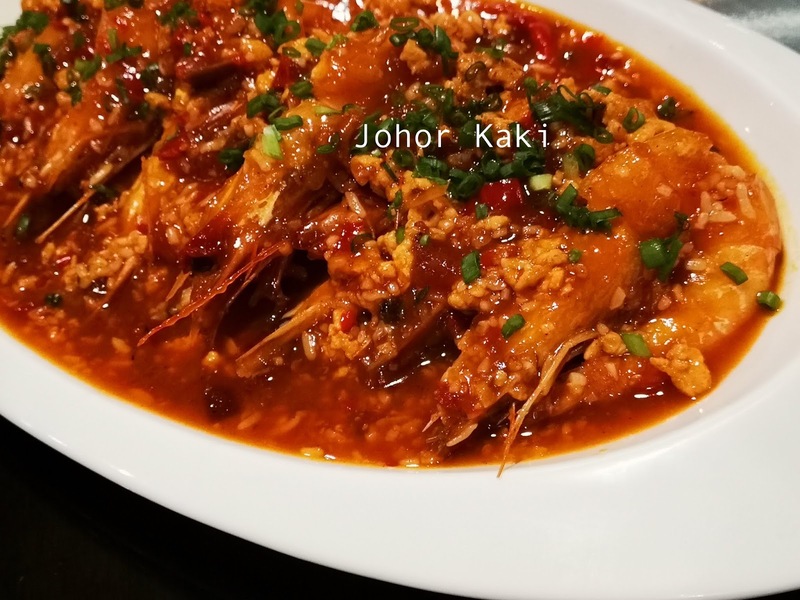 As it turned out, I enjoyed the fresh meaty prawns, and was also enthusiastically scooping up the sauce as it was like a slightly tangy sweet savoury "porridge". This was slightly embarrassing - me, not the man tou (price RM10++ for 8 pieces). 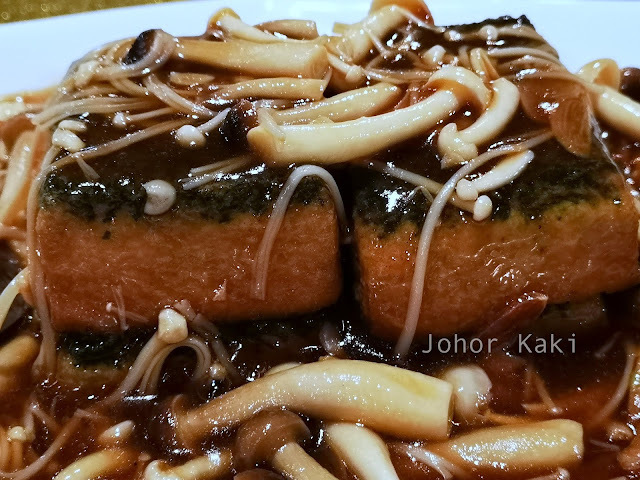 The man tou was for soaking up the fermented rice sauce of the prawn dish. 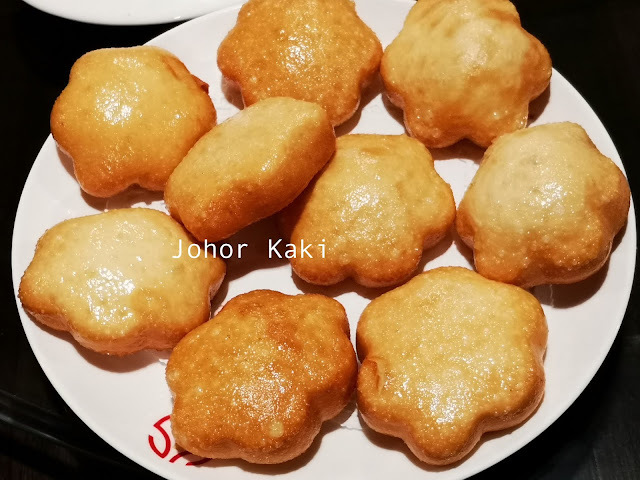 I enjoyed the slightly crisp outside and puffy tender inside of the sweet fried buns so much that every time the plate glided in front of me on the lazy Susan, I subconsciously picked up a piece. Later, we realised that 2 people didn't have their man tou because Tony helped himself to 3..... .
Smoked Spare Ribs with Longjing Tea Leaf (price RM32++). I am normally not enthusiastic about meaty rib dishes at big dinners as it would stretch my stomach space and tax my cholesterol quota. But, this one at KS Treasures....., I love it. 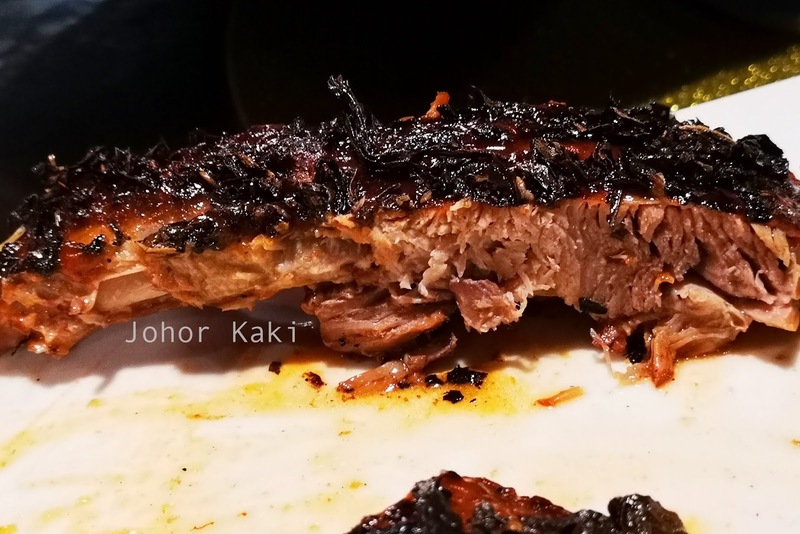 Made with fresh local pork spare ribs, the meat was fall-off-the-bone-tender and so juicy. 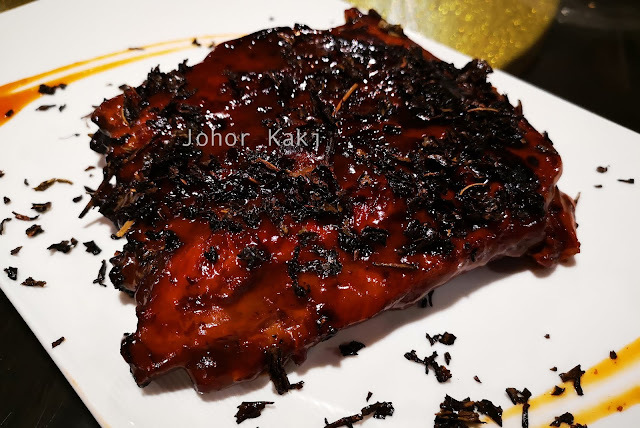 The quite robust savoury marinade was layered with smoky taste from smoking the baked ribs over Longjing tea leaves. The tea leaves scattered on the ribs added a bit of soft grainy texture and taste of dried tea leaves. 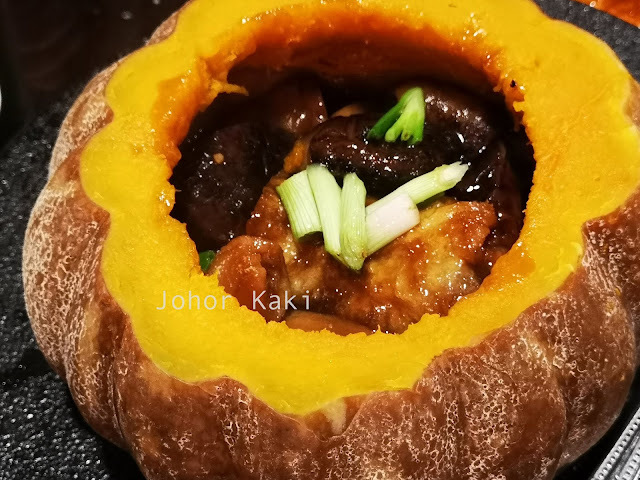 Braised Assorted Treasures in Pumpkin (price RM68++ small serving). Braised black mushrooms, dried fish maw, dried sea cucumber, shellfish etc served in a hollowed out pumpkin. The sweet pumpkin infused sweetness to the familiar savoury braising stock, dried mushroom and dried seafood flavours. 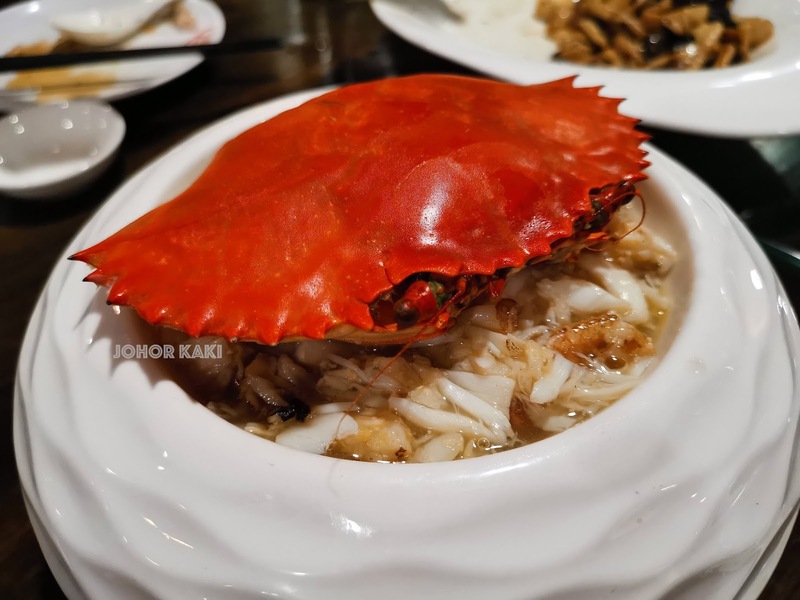 👉 We enjoyed the food at KS Treasures 美乐轩 and the fun company made it better. The prices were reasonable too. The young restaurant was still running in its operations and already churning out such likable dishes. 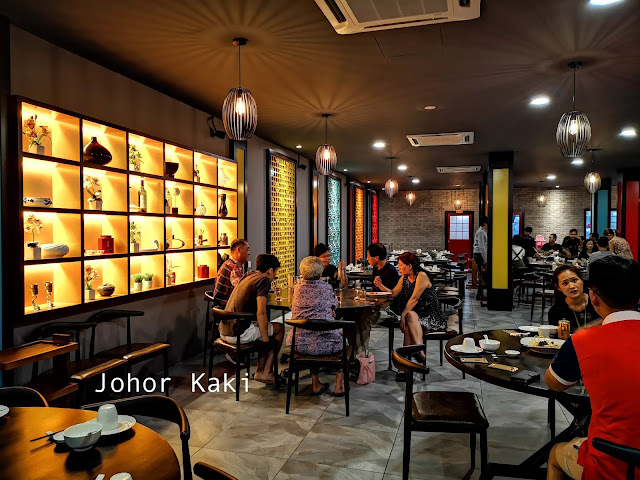 I feel KS Treasures is a very promising new restaurant in JB worth a try for its modern take on traditional Chinese cuisine. Service is S-L-O-W. Half of my dishes came and then just stopped, we decided to cancel the rest of the dishes as we were tired of waiting. The table next to us who came later then us also cancel the rest of their orders. The restaurant wasn’t even full at that time, there was a few empty ‘reserved’ tables. I don’t know how are they gonna survived. And the dishes were all lukewarm instead of sizzling hot. A no-no for Chinese food.